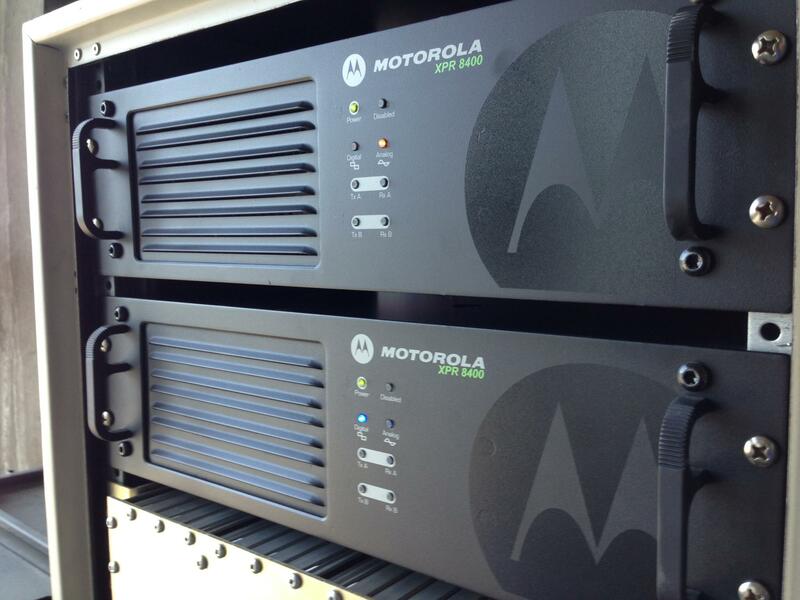 With a TDMA (time division multiple access) system like DMR, the mobile or portable radios are synchronized typically by a repeater and assigned a time slot. In DMR Tier 2, there are two time slots, i.e. 2-slot TDMA. A mobile radio transmits for 30 milliseconds and then receives for 30 milliseconds. It listens for a permission to transmit and then begins a call to all other talk group members who will also receive on that same time slot, e.g., Time Slot 1. Meanwhile, a different group of users on another talk group could be using Time Slot 2 simultaneously. Well almost simultaneously, offset by 30 ms., but you would never know the difference, because two voices can come out of two radios simultaneously from the same repeater. Talk Groups are like different work groups that you communicate with. They are programmed as “channels”. Several can share a Time Slot on a repeater like multiple PL codes can share a community repeater. Each talk group can be isolated from the other, but may get a busy tone if the same time slot is in use by another. Greater efficiency can be achieved by bridge routing and trunking techniques. Each radio can have more than one talk group and may scan or roam based on talk group. How is this different from D-Star? Will your repeaters interfere with existing 144 or 440 analog repeaters? No. Normal Frequency Coordination is required, but DMR Emission Bandwidth is 7.6 KHz. Normal UHF channel spacings are 12.5 KHz also VHF are 10 KHz. Can I select specific groups or reflectors with DMR? Yes, DMR has a capability to have Talk Groups which can be local, statewide, regional, national or world-wide via the IP Site Connects, cBridges and SmartPTT servers. Why don’t all stations show callsigns on the radio display? The DMR radios have a frequent user alias lookup that is similar to a cell phone contact list. Common call signs can be downloaded and programmed into the radio or added manually, just like a cell phone. Why do I need to get an ID assignment? DMR IDs are like phone # assignments. You program it into your radio. Then, others will see you show up on their displays. The assignments are logical and follow GSM numbering protocols. Who do I get my ID # from? Is the range on DMR equal to or better than analog? We are seeing equal or better coverage with DMR compared to an analog repeater at the same location and antenna. Certainly with better quality audio when in fringe areas. Is battery life really much longer with DMR? Yes, battery life is increased by 40% compared to analog FM or FDMA radios. That is due to TDMA transmit and receive cycle durations being half normal power usage times. Fourteen (14) to sixteen hours (16) of heavy usage is not unusual. Does DMR have the R2D2 digital breakup in fringe areas? NO. DMR signal fading is minimized using CRC and FEC algorithms AND re-sync time is faster after leaving and restoring coverage. Audio Quality is markedly better.